Society of Women Engineers at North Carolina A&T! 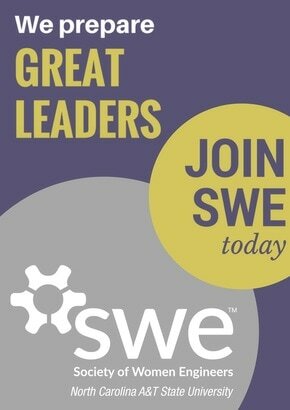 SWE provides collegiate members the opportunity to inspire future generations and have fun. SWE also provides collegiate members valuable access to a unique set of resources that sets the stage for a successful career.